These bright, easy-to-grow flowers come in a number of cultivars of varying hardiness, but all have daisy-like flowers that add great color to any garden. The petals are usually yellow or gold and the plants will bloom all summer if deadheaded regularly. 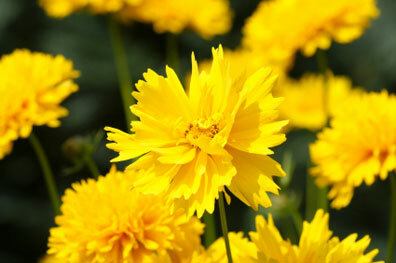 They do best in full sun or very light shade in well-drained, compost-enriched soil. They are somewhat drought tolerant once established. Finches relish the seeds.